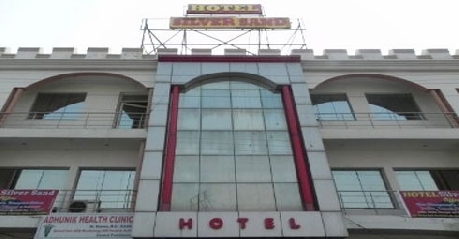 Hotel Silver Sand is a budget hotel property. It is located in the historical city of Kurukshetra, Haryana. 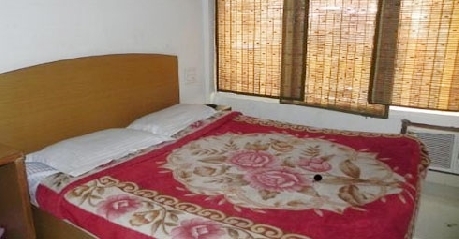 The hotel is easily accessible as it is approximately 3 km from the Old Bus Stand and 3 km from Kurukshetra Railway Station. Famous tourist attractions like Brahma Sarovar, Sri Krishna Museum, Kalpana Chawla Museum, Birla Mandir and National Institute of Technology are at nearby distances from the hotel. The hotel serves as a decent getaway for tourists with all basic amenities ensuring a comfortable stay for its guests. Economy rooms are air conditioned rooms which are spacious, well lit and ventilated that come with basic modern amenities like attached bathroom, satellite television, wake up call service on request,Tea coffee maker, aqua-guard/ro filtered water, room cleaning serviceetc. An economy room is ideal for tourists looking for a comfortable affordable stay. Air conditioned deluxe are spacious well lit and ventilated rooms that come with room amenities like attached bathroom, satellite television, wake up call service on request, aqua-guard/ro filtered water, Wi Fi connectivity, tea coffee maker, room cleaning service etc. A deluxe room is ideal for tourists looking for a spacious affordable stay. Super deluxe are air conditioned spacious rooms that come with room amenities like attached bathroom, satellite television, wake up call service on request,aqua-guard/ro filtered water, Wi Ficonnectivity, tea coffee maker, room cleaning serviceetc. A super deluxe room is ideal for tourists looking for 2 or more occupancy affordable stay. The family and diamond room are spacious well lit and ventilated rooms. The room comes with amenities like attached bathroom, satellite television, wake up call service on request,aqua-guard/RO filtered water, Wi Ficonnectivity, tea coffee maker, room cleaning serviceetc. A family and diamond room is ideal for family or small groups looking for an affordable stay. The combined multi cuisine in house restaurant and bar at the hotel serves the best of ambience, food and hospitality to its guests. The restaurant menu offers a variety of delicacies to choose from like Chinese, Continental, Indian, etc. The restaurant serves both vegetarian and non vegetarian food options.